Inclusion Quality Mark’s annual presentation of awards took place on 25th September. 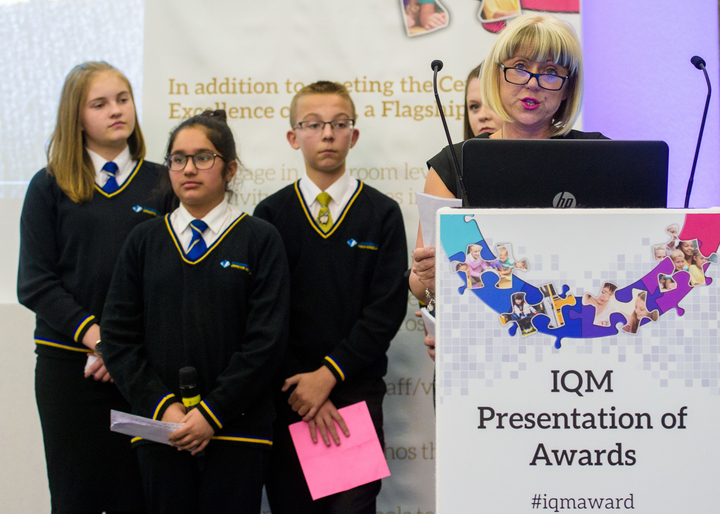 On Tuesday 25th September 2018 the annual presentation of IQM Awards took place in London. Over 330 school representatives attended the annual event from more than 110 schools across the UK. 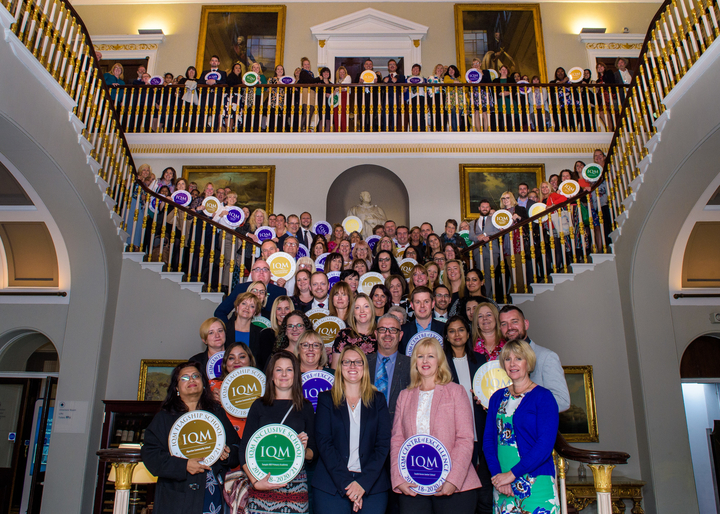 Twenty four IQM assessors were present at the event which was held in the Institute of Directors’ Building in Pall Mall. Forty two schools were designated as new Centres of Excellence and thirty three schools achieved Flagship School status having served as Centres of Excellence for the last three years. 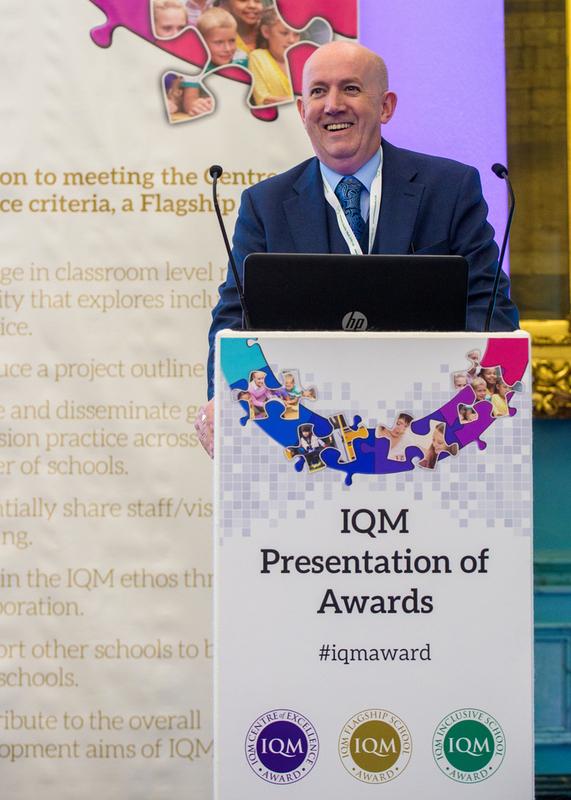 The guests were addressed by Managing Director, Mr Joe McCann, who spoke about how the Inclusion Quality Mark had started and how it has grown year on year to what it is today. He talked about how inclusion is more important now than ever as schools become more and more diverse and rise to meet the needs of their learners, staff, parents, community etc. He welcomed colleagues from all over the UK, many of whom had travelled great distances to attend the event and to celebrate inclusion. Some colleagues had come as far away as the Isle of Man and Northern Ireland to celebrate and meet like-minded people. 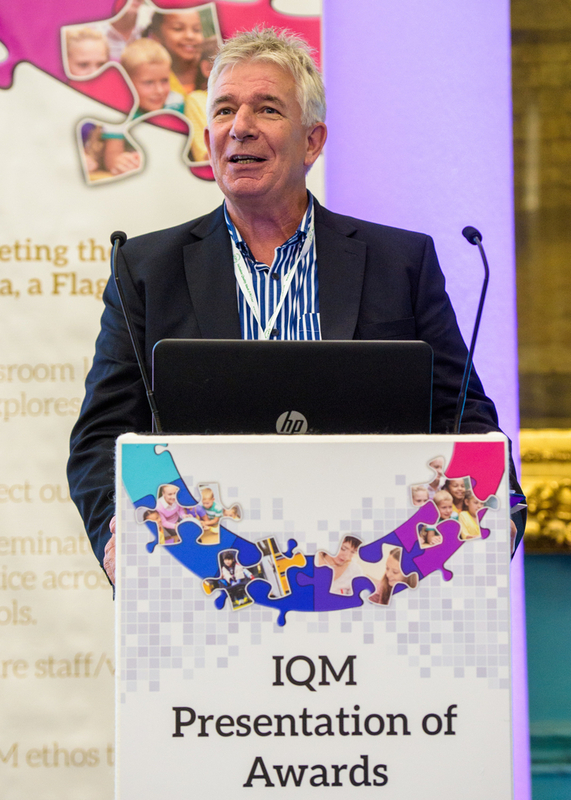 Master of Ceremonies, Mr Dave Stott, entertained the audience with his witty repartee whilst ensuring the event ran smoothly. Ms Nicola Atkins from Wodensborough Ormiston Academy spoke about how her school is so passionate about inclusion and gave examples of how their inclusive practices helped students, staff and parents alike to grow and thrive. A video was then shown to the group of what inclusion means to the students of the academy. Four pupils spoke individually and eloquently to the guests about how they had been included in their school and why it meant so much to them. Inclusion promotes equal opportunities for all pupils, whatever their age, gender, ethnicity, sexual orientation, attainment and background. It pays particular attention to the provision made for, and the achievement of, different groups of pupils within a school and any pupils who are at risk of disaffection and exclusion. 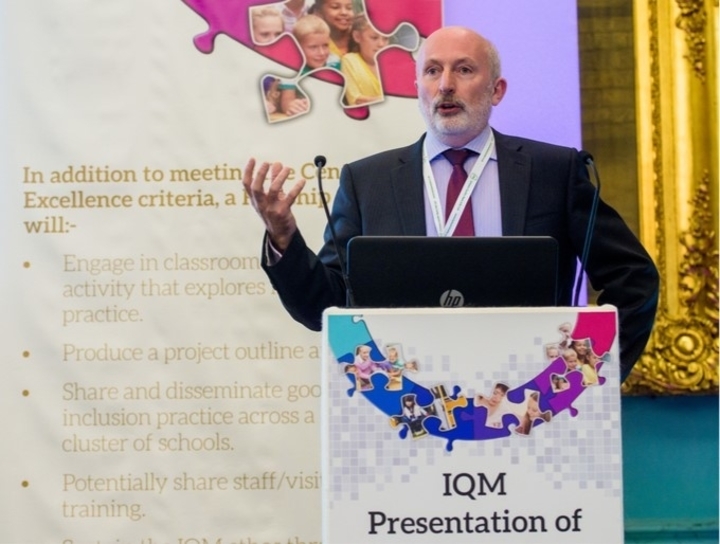 The Inclusion Quality Mark award is going from strength to strength and all Centres of Excellence and Flagship Schools have been placed within IQM cluster groups meeting 3 times per year and sharing best practice across a wide range of topics chosen by the individual groups.